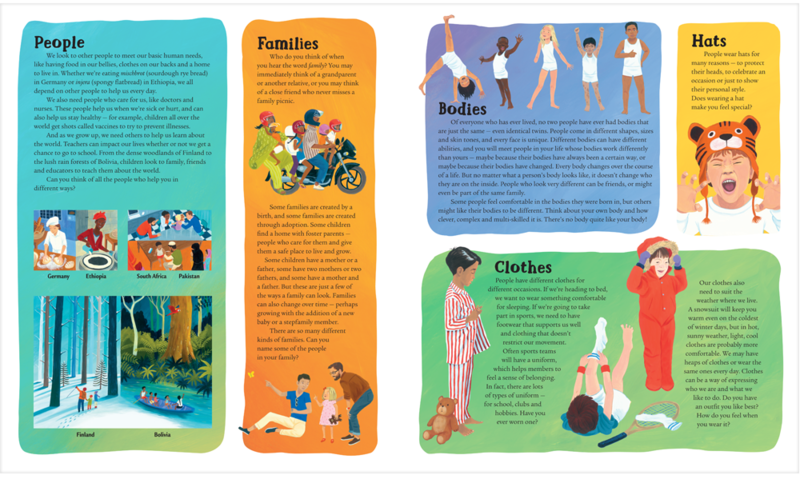 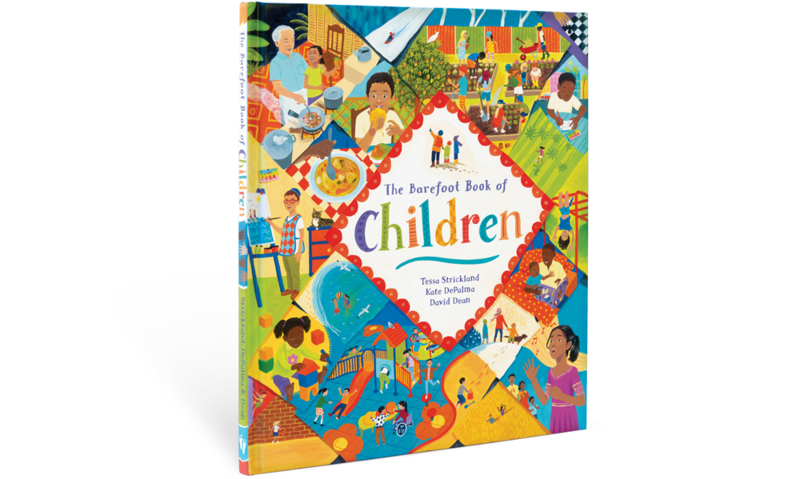 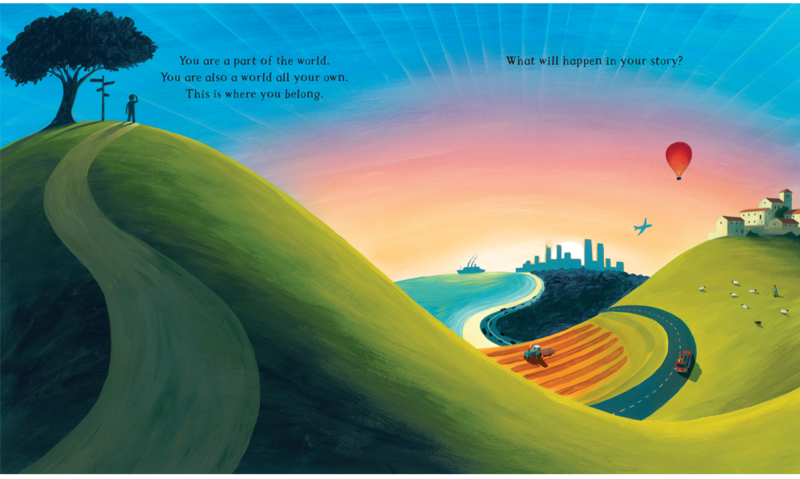 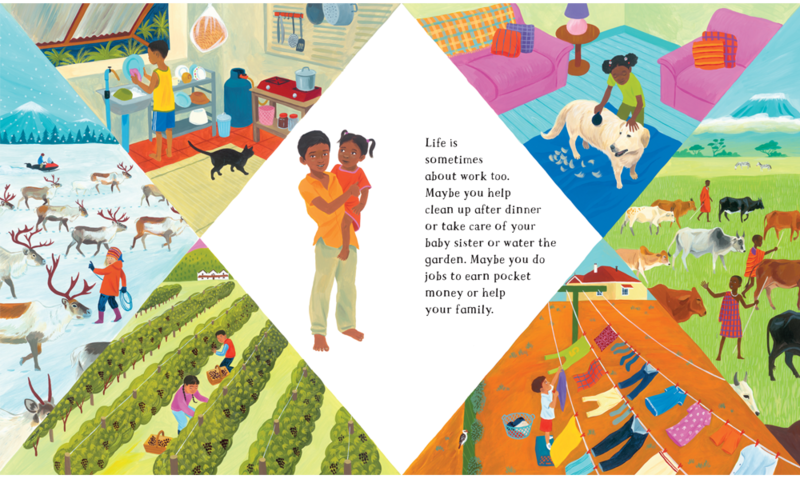 First published in September 2016, The Barefoot Book of Children is a large format hardcover gift edition which features simple narrative text alongside intricate acrylic illustrations hand-painted by David Dean. 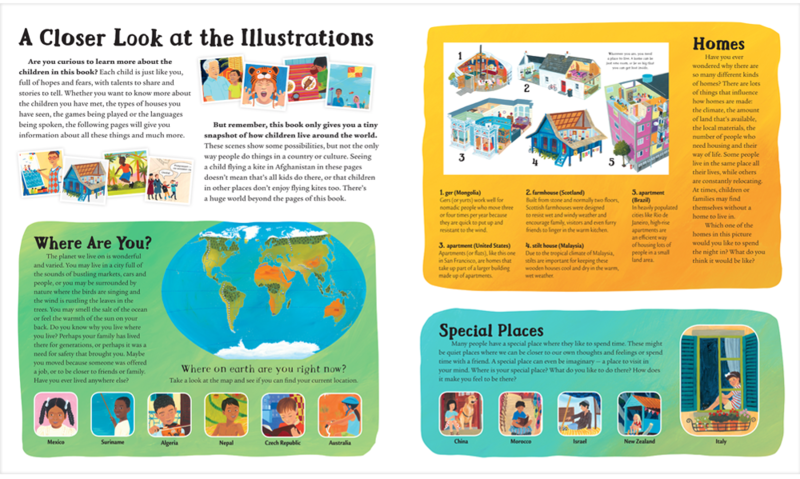 At the end, 14 pages of detailed endnotes further unpack the global and cultural settings and representations of diversity and inclusivity. 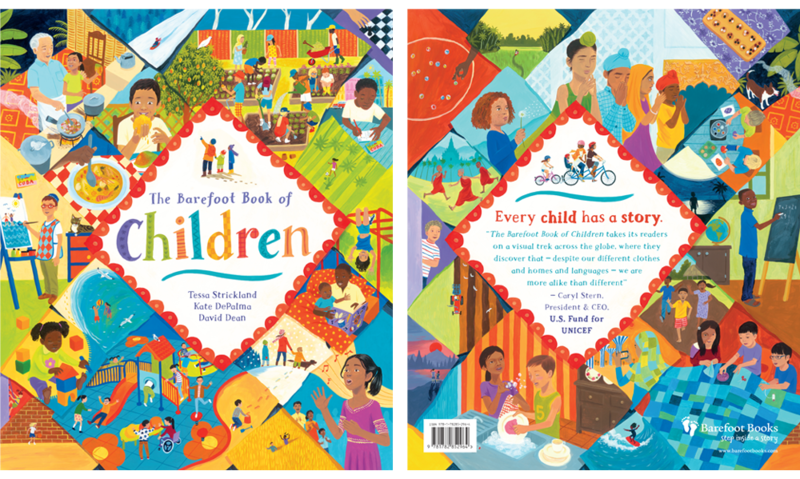 The book is rapidly becoming one of Barefoot Books' bestsellers and has received dozens of accolades and book awards.